Shankar Paryani, 55, who is currently absconding, has been charged under various sections of the Indian Penal Code. Indore: The owner of the hotel, which collapsed here last week killing 10 people, has been charged in connection with the incident, police said. Shankar Paryani, 55, who is currently absconding, has been charged with culpable homicide not amounting to murder, and attempt to commit culpable homicide under sections of the Indian Penal Code, an officer of the Choti Gwaltoli police station said. He said that Mr Paryani was charged because he was running the 60-year-old hotel, situated near Sarvate bus stand, despite knowing that the three-storey structure was dilapidated and posed a risk to the lives of people. Eyewitnesses had earlier told police that the hotel collapsed after a speeding car hit one of its main load-bearing pillars on Saturday night. 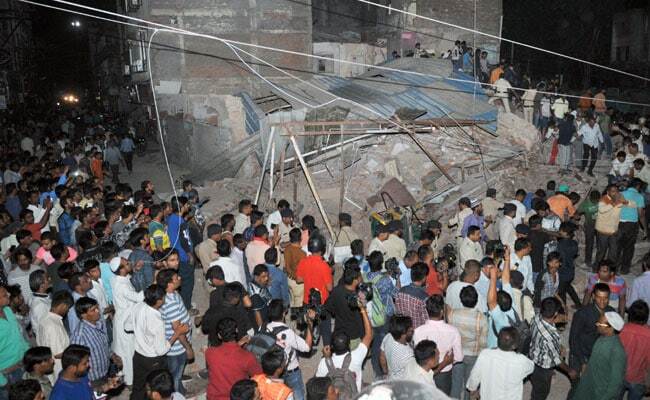 The collapse killed ten people, including two women, and left two others injured. Separate teams of the police as well as municipal authorities are investigating the incident, officials said.